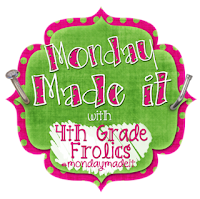 Linking with 4th Grade Frolics for a Monday Made It Idea that I think is a GREAT solution to a HUGE problem! Anyway here's the problem: I see seventeen classes of students each week. Groups come into the Science lab and we get busy fairly quickly. HOWEVER, occasionally there are a few minutes of transition time that can be a management problem for me (being OCD, a little!). So, I have toyed with several ideas to use this time more wisely, and hooray... 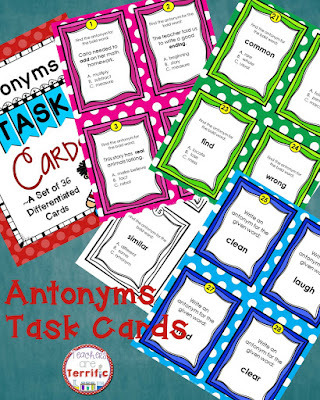 I stumbled upon an idea to use task cards. The idea is that the lab tables will have cards out and we will scoot around to complete the set, go over the answers quickly, and then get busy! It seemed like a great way to review skills of all kinds, make use of the time well, and engage the kids from the moment they sit down. So I tried it recently with a set I purchased from TpT. It worked!!! So, I have now started creating my own sets to work along with what regular teachers are studying in their classrooms or to review what we are doing in the lab. Gorgeous color! I had it copied on card stock and then laminated the cards. I love them! I am so glad I tackled this because I am quite pleased with the way it turned out! BEST OF ALL- we loved using them as a classroom warm up. I have about ten tons of ideas for new sets and will get busy on that right now! Here's a BRAIN POP I just had (this happens to me all the time)...... what if I had kids write these?? You know, at the end of a study they could write questions and answers as an assessment and then I could make the cards. THEY would love it! 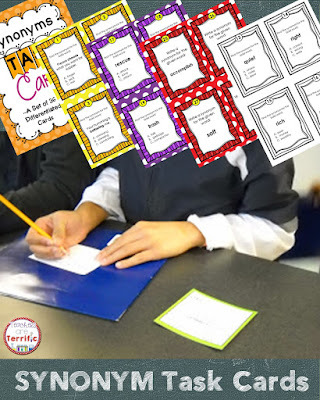 SUPER idea and Super easy to copy, laminate, and use! Can't beat that! 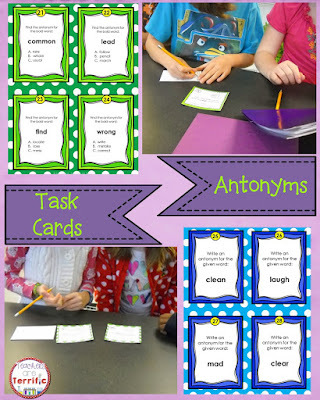 We love using task cards in my classroom. We use at least one pack a day! Love them! I haven't ever printed them at a copy store. That's an idea! The copies were really awesome! Much better than from my printer! I will always do this from now on. It's worth the extra expense! Just How Many Linkies Can You Do in One Post??? Some TRUTH and some Spaghetti!